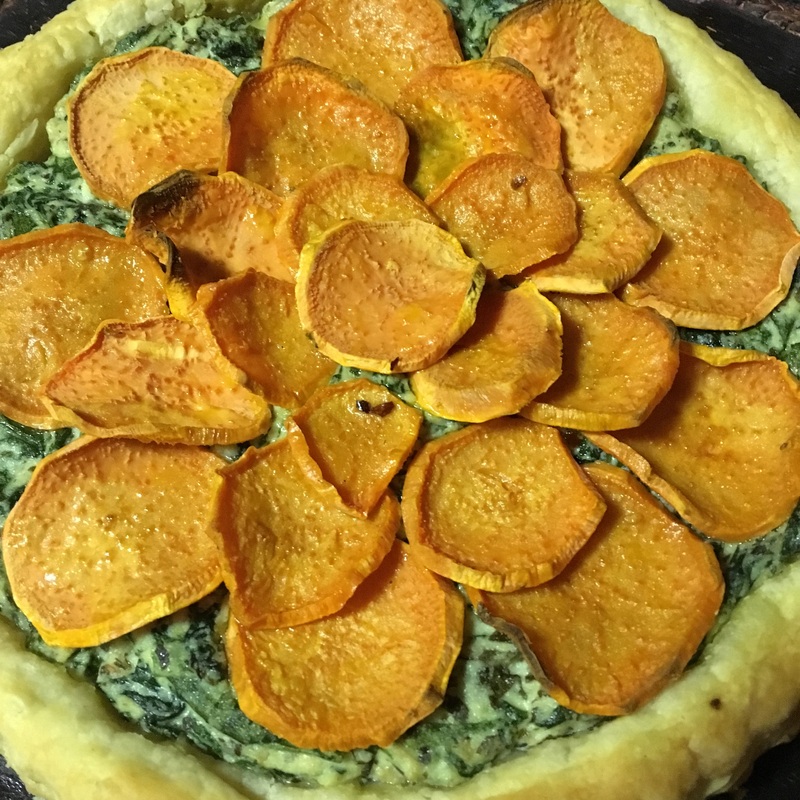 You really can’t go wrong with sweet potatoes. They are packed with vitamin A, delicious in flavor, and super versatile. 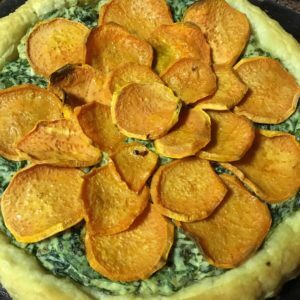 This tart combines sweet potato, spinach, and a few other ingredients you probably have at home! 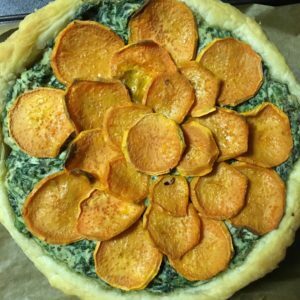 Peel and slice your sweet potato into 1/8 inch rounds. Toss in olive oil. 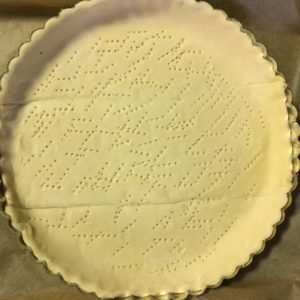 Arrange puff pasty in a pie tie and trim edges. Piece the center with a fork to prevent excessive puffing. 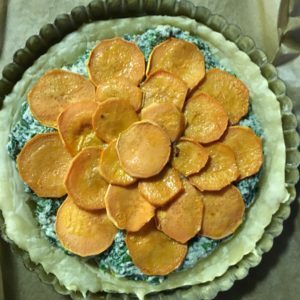 Bake sweet potato and puff pastry for 15 minutes. 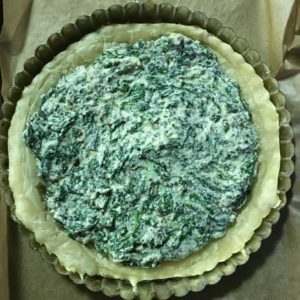 Combine garlic and spinach in a pot and cook until spinach is wilted and soft. Add in pesto, chili flake, salt and ricotta and turn off heat. 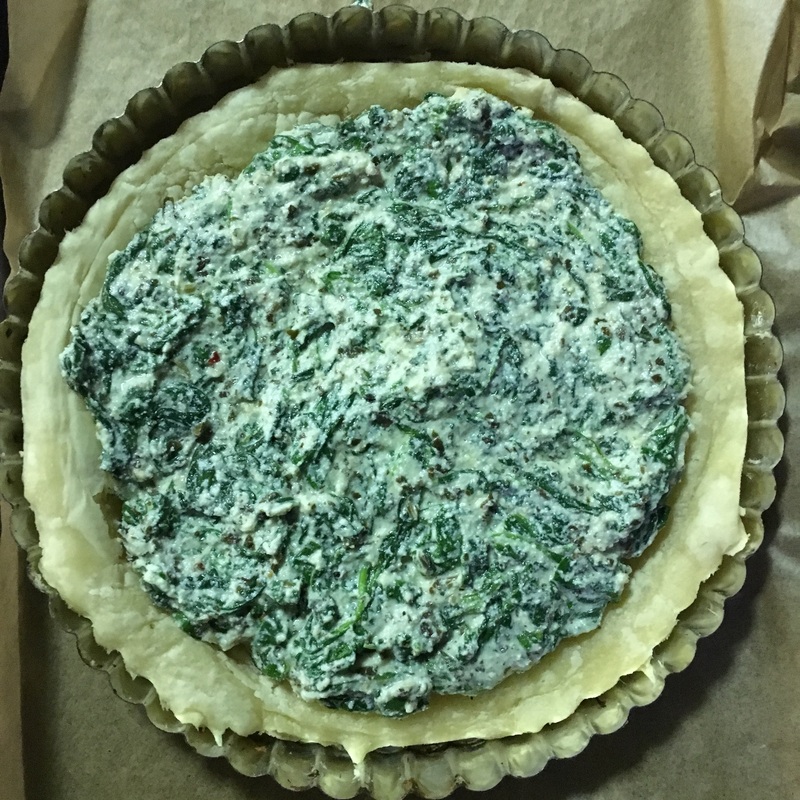 Remove pastry dough and cover with spinach mixture. Top with the sweet potato as densely as you wish..
Bake for 20 minutes until crust is golden brown and crispy. Enjoy!